Advancements in the field of neurology have transcended the barriers of conventional methodologies in diagnosis, where patients were initially required to consult their doctors on a regular basis through the course of medication or treatment. However, that trend has changed, owning to developments in their field of medical apparatus research and development, wherein devices are designed to be worn when required, functioning similar to plug and play peripherals. These practices have become mainstream in the current day and age, largely because of the diversity and the flexibility offered by wearable devices that integrate with operating systems such as android and IOS to deliver the necessary computational power. Consider the advancements in the diagnosis of Parkinson’s disease and multiple sclerosis (MS): Utilizing Parkinson’s Kinetigraph—a solution originating from the Australian subcontinent—medical professional can monitor the movement of patients using a wearable device. By observing the movement data, doctors can determine how a patient is responding to treatments, thereby prescribing medications to catalyze recoveries at faster rate. 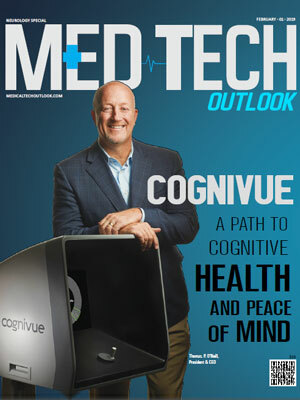 Though this is just a discrete application of technological advancements in the field of neurology, the development offers a promissory note to industry leaders in terms of what waits around the corner. 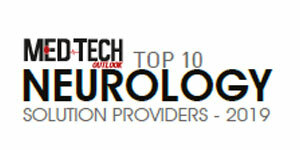 On the same note, MedTech Outlook’s current edition lists “Top 10 Neurology Solution Providers - 2019” that hold expertise in helping medical professionals implement innovative technologies in their practices. The list presents to you some of the prominent organizations in the neurology space, capable of leading their clients towards excellence by supporting them extensively. By getting direct support from these eminent solution providers, medical practitioners can ramp up their operations for greater success.